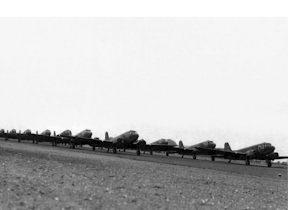 The 94th was part of the 439th Troop Carrier Group. It has also taken part in the airborne drop in the night prior to the allied invasion in Normandy. The squadron also took part in operation Market Garden. C-47 Skytrain Troop Carrier aircrafts of the 93rd and 93rd Squadron. 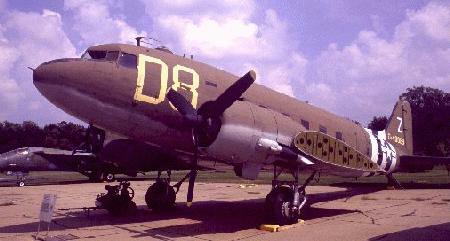 C-47 Skytrain Troop Carrier aircraft with 94th TCS markings in the US. C-47 Skytrain Troop Carrier aircraft with 94th TCS markings at an airshow.